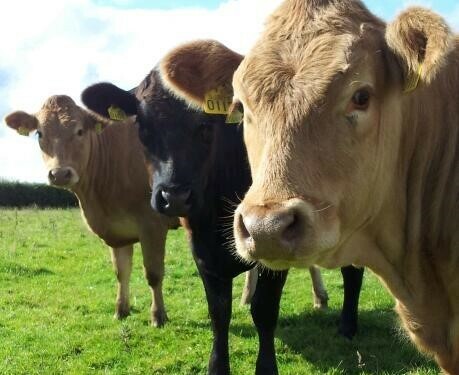 Home » Beef » Is it worth breeding your own replacements if you’ve less than 20 cows? Is it worth breeding your own replacements if you’ve less than 20 cows? A key question facing many suckler farmers in the new Beef Data and Genomics Programme is wheater its worth their while breeding their own replacements. Responding to a question from the floor on this particular issue, Teagasc’s Adam Woods said an important point to make is that there is a there is a huge amount of farmers out there who have quite a low replacement index on their herd. “They would need to look to other genetics from the dairy herd or from the beef herd. That would be high index heifers coming in. “Where as other farmers who have a high index herd all ready will be able to breed their own replacements. “I suppose there are pros and cons to both. 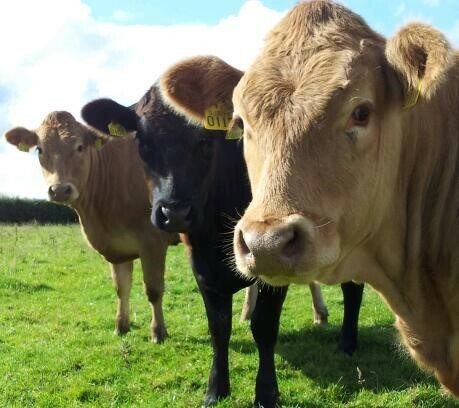 “I would say that for farmers under 20 cows, it gets more complicated in terms of breeding your own replacements, just in terms of extra groups of stock around. “Under 20 cows you’re possibly better off finding a good source for replacements and purchase them. “However, there are disease risks when purchasing in stock, he also noted. There are some 39,605 suckler herds in Ireland of less than 10 cows, according to recent figures released by the Department of Agriculture. 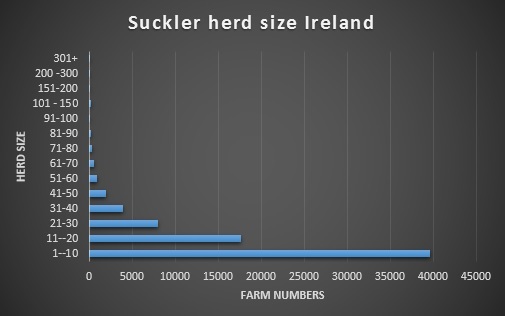 Herds of 10 cows or less account for over 53% of suckler herds in Ireland. In total the Department of Agriculture says there are over 73,000 suckler herds. The Department figures also show that there are only 236 suckler herds of greater than 100 cows.